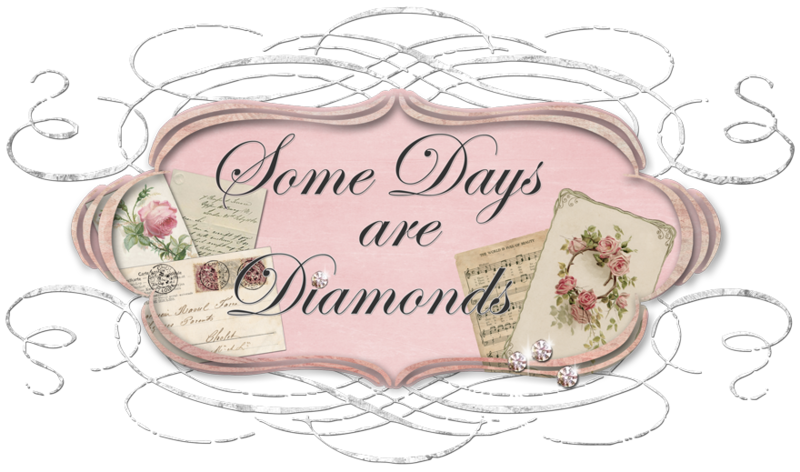 One of the blogs I love to visit is Manuella over at The Pleasures of Homemaking. And this morning - she was INSPIRING to me! I have an Inspiration Board. I love it. I have notes that my Mom wrote me pinned up on it, along with her watch, special brooches, special notes from my niece and good friends. Little hearts with my husband's and kid's names on them. Special fabrics and ribbons . . . just the normal stuff to get the juices flowing. But I didn't have a "vision" board. I have pictures of things, lists of things I'd like to accomplish stuck away in a drawer or in a journal. After reading Manuella's post this morning, I decided now was as good of a time as any for this to be my next project. So I made one! Out of materials I had on hand. No purchases necessary. I knew it didn't need to be really thick and strong as I will probably only put pictures and article clippings on it. Now I know I probably didn't do it the right way - but really fast, this is what I did. Took just an average piece of foam board. I stocked up on these when they went on sale 5 for $5 at Michael's. Good thing! Added some batting. Just stapled it on. the perfect piece left over from the table skirts! Staple it on, folding the corners. I knew my board was 20" x 30" so figuring out where to place the ribbon was easy. Added some pretty rhinestone buttons for some bling and . . .
VOILA! My new vision board. Ok, now . .. vision . . . hmmm ... need some some vision here . . . so head over to my trusty Cricut machine. If you've never seen one of these babies, it's a doozy. Picked out my font . . .
picked out my paper and cut it to size . . .
loaded it in the machine . . .
look at that blade cut. It's just so easy! Peel off the letters . . .
Ok, pick out a piece of background paper to mount it on . . .
VOILA! One of my favorite words. "Believe"
Here we go! All done. Thank you Manuella for reminding me of the importance of being an optimist - of being positive, not negative - of seeing the glass 1/2 full, not 1/2 empty - of living the life Christ gave us and making it a wonderful journey filled with Him, and wonderful people we love and experiences we will remember always. And thanking Him each and every day for just one more day. Have a good day everyone! Now I really need to get to the market! Karen, love your inspiration board. I'm thinking I may need one of those Cricut machines myself. Do you really think they are worth the money? Do you frequently use it? For what types of projects? Does it come with several fonts or do you have to purchase them? I don't know much about them except that EVERYONE seems to have one. I was reading your profile and see we have a lot in common. I'll be married for 28 years in May. We have a 21 year old and a (almost) 15 year old. I'm also a stay-at-home Christian mom! Love your inspiration board, now I want a cricut. I would love to be able to cut letters to make little signs and such. Thank you for thinking of me for the award, your too sweet. I really like your inspiration board....how pretty. You do such pretty work and I like all the colors you are using. I love how your inspiration board turned out. I've wondered about the cricut machines, how they worked. It looks pretty neat. I am glad you changed the word verification so now I can leave you a comment. lol. Oh, I want a cricut! I recently used a friend's machine here. It's fabulous. I'm not purchasing any new 'electricals' until we're back in the US but this is on my wish list. Love your board too...I have the file thing which isn't nearly as practical. That came out so good! Love it! I'm going to link to this post on Friday if you don't mind. I like that you used what was on hand maybe we'll inspire others to make one too! I love it! Love the Cricut, too, I've been toying with the idea as to whether I should get one or not...I'm thinking I should...LOL. Oh man I love it! Its beautiful! You did a beautiful job. I also like your other board that you have special things on. That's a great idea too.